Nutanix released AOS 5.6 on 4/16. In addition to a bunch of cool features we will highlight below, this also marks a change to a new release schedule. The new release schedule sounds a bit like what you might find from Ubuntu Linux. There will be long term support releases, as well as periodic (quarterly?) feature releases. 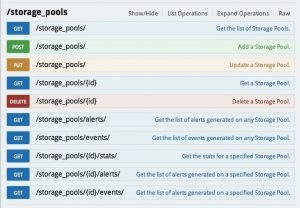 Nutanix API v3 now GA and available in the API Explorer! When I built out the Enterprise Cloud tool, I had to use API v1, because that was all that was available at the time. The v1 API didn’t have a lot of the functionality that many people were looking for, and as a result my functionality in the app was somewhat limited. This new API, v3, has been available in Tech Preview for a while and has now been moved to GA. It contains much more functionality than the prior APIs, and should enable much richer integration for the partner ecosystem as well as your own automation teams. There is also a nice API explorer now available via Prism Central that lets you easily browse the API. There are a few other considerations here, such as the 50% overhead of running a dual node config probably eating away a chunk of the cost savings vs. a more robust 3 node configuration. Don’t forget, single node configurations are also available, with many of the same caveats (plus some others). I think the occasions where I will specify a two node cluster for my customers is relatively limited, but I can see the need for the feature to exist, particularly from a competitive perspective. This feature is for AHV users only. Its stuff like this that is really driving up the AHV adoption rate in my user base. 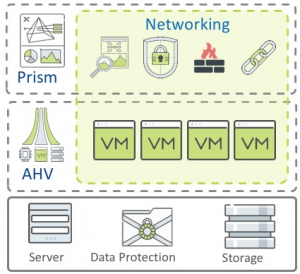 The basic idea here is that each AHV host will be running a stateful firewall. You can create policies to control traffic between VMs that allow you to specify whitelists for inbound and outbound traffic as well as port and protocol. This feature leverages another new feature in 5.6, which is the ability to create categories in Prism Central. These are kind of like tags, and you’ll use them in security policies to specify which category of VMs can or cannot talk to other categories. One note here, if you tested out this feature in 5.5 when it was in tech preview, those policies will be deleted. You’ll need to recreate your policies again. Prism Central Scales Out – now GA! This was previously a tech preview feature. This is the capability for the prism central management plane to scale out across up to 3 nodes. Only supported on AHV and ESX. You can now have up to 80TB of storage in a single node! Wow! Thats a big node! I can see use cases for this including installation as a pair of storage only nodes, or perhaps in the case of backup targets. Load Balancing vDisks in a Volume Group! If you have volumes with very high IO requirements, you can now better distribute that load across the cluster. 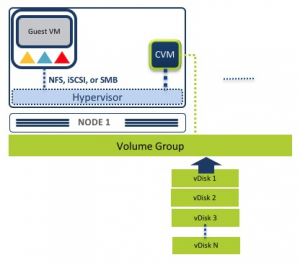 Distribute multiple vDisks from a Volume Group across multiple CVMs in the cluster to take advantage of the CPU and Memory from other nodes. Each vDisk is still services by a single CVM, but the load for the VG as a whole scales out across the cluster (see image below). AHV only. AFS is the built in Acropolis File Services available on the Nutanix platform. This is a scale out file services environment to allow you to host your CIFS shares and NFS exports right there on your Nutanix cluster. Now GA in AFS version 3.0 which goes along with AOS 5.6 is NFS v4. Want a ton more information on this? Check this out. If you’ve read this far, you may have noticed that this was 7 fun things about AOS 5.6. I just couldn’t seem to limit myself to only 5! Believe it or not, there are still more useful features in this release, so if you are hungry for even more, check out the official blog here.